The term ‘Marine’ hits everyone mind that it is something related to water. Yes, you all are right! 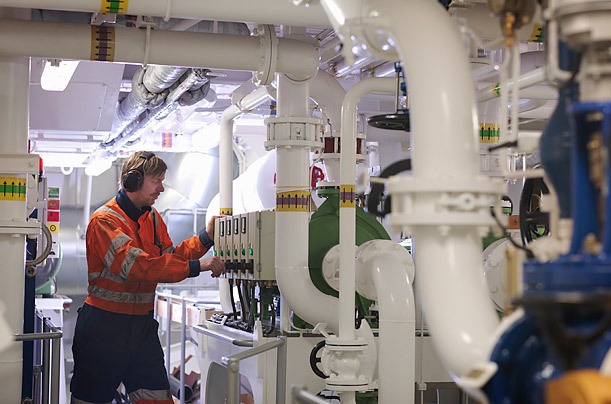 Marine Engineering is one of the engineering courses that deals with design, construction, operation and maintenance of the ship functions that include steering, anchoring, cargo handling, heating, ventilation, air conditioning, etc. The technology and techniques one can learn during marine engineering are used for creating cruise ships, oil platforms and harbors. Most of the students have confusion between the Marine Engineering and Naval Architecture. These both terms are interrelated to each other. Naval Architect deals with design process, ship building and operation of marine vessels. Looking for the precise definition of marine engineering? Completion of secondary examination/10th class (eligibility for diploma courses). There are various Institutions which offer diploma, bachelor or master degree courses in Marine Engineering. The courses deal with the maintenance & construction of ships and other sailing vessels. Diploma Courses: It is three year duration programme. Bachelor Courses: The duration of these courses is 4 years. Master Courses: It is two year duration programme. Looking for Advancement in Marine Engineering! For Diploma Course – You have to pass 10th examination to get admission into diploma programme. For UG Courses – Minimum educational qualification of 10+2 with Physics, Chemistry and Mathematics as a compulsory subjects is required for this course. If you completed a three year diploma in marine engineering, you can apply for UG course in marine engineering. Your age should be 17-25 years. For PG Courses – The prescribed qualifying examination for M.Tech will be B.Tech passed in Marine Engineering. What about Jobs & Career Scope? You have a plenty of career opportunities in the field of marine engineering . You will get the job depending on your specializations. The job of Marine engineers is not just limited to construction and maintenance of ship or boats vessel but it is extended upto the project management and control responsibilities too. There are lucrative career options for the marine engineers in public as well as in private shipping companies. You will designated as a third assistant engineer or fourth engineer. There are lots of job opportunities for marine engineering students not in India as well as in abroad countries. What will be my Designation? Am I Designated as Chief Engineer! Marine Chief engineer is considered equal to captain and possess the top rank. After gaining sufficient experience and knowledge in the field of marine engineering you will be eligible for this post. Marine Engineers are the skilled professionals engaged in the design, construction and maintenance of vehicles and structures used on or around water for example – ships and boats. They have responsibilities for the construction and maintenance of ships machinery that include steam turbines, gas turbines and engine room. Marine Engineers work as a liaisons between ship captain and shore personnel in order to ensure the efficiency and safety of ship. Also, monitors and supervises the other engineers, mechanics and crew members of the ship. Marine Engineers also works on the power generation, gas and oil industry. Nowadays may national and international companies showing their interest in producing the electricity with the use of tidal power generators and more. Archimedes was the first marine engineer and developed numerous of marine engineering systems. In India marine engineering was introduced in August 1949. If you are fascinated by the ocean or water and have interest in machinery or structures and want to do something creative then Marine Engineering is the best career option for you. Are you ready to continue this course? Marine Engineers are required in public and private shipping companies, engine production firms, ship building and designing firms, navy, research bodies. Marintek Design and Engineering Pvt Ltd. Candidates possessing the degree in marine engineering will get the attractive pay depending upon the experience, location and domain knowledge. An average salary ranges from 64000 to 96000/year will be provided to the marine engineers. Those working in abroad will receive 85000$ per annum. If you have any other queries about Marine Engineering, you can ask your query in the comment box. I want to join in marine field.what I have to do to join in marine field.i am studying 10th.i want a number of marine to get know about marine and I have to join in marine. Cut off for JEE Mains and IMU CET?? The cutoff will be released after the exam. Will salary be 64000 to 96000/year OR 64000 to 96000/month? The salary is generally good for marine engineers. A fresher can start his job with a salary of 30-40000 per month. I m in class 12th with pcm .how should i join for this…??? Wid good marks in h. S. C.
Is there any college in abroad which has no age limit for marine engineering?? Sir,I hav cleared my jee mains. Can I join to some good marine collages…through dis….? and which are they…? you can appear in the IMU CET exam. What is the best course in marine engineering? I am studying in mechanical engg final year, but I am interested in marine engineering what I do ? I want to join in marine…I was soo interested to join in marine….give a suggestions to me. I want to become a mariner what are course and course duration and its scope . B.Tech in marine or B.Sc nautical science. yes, you can join marine engineering course after your ME. The oppurtunities are good in this field you can work with shipping and logistics companies. You can apply through IMU CET exam. I complete my 10th stander with 84 present marks in 2016… Now I am in class 12…. & I want to be a candidate of marine engineering…. Can i get admission in marine engineering after completing diploma in computer engineering..?? I am completing 12th I want to do marine engineering Tell me what to do? I want to admission in marine eng. I am in 12 science now in guru nanak khalsa clg what should i do ??? What is first salary when we will get job ?? And for how many months we will be on ship and away from home?? I have completed in 12th in1076 marks& my cut off mark is 186.5.but l have no attanded in jee exam.what l will study? I have apply for marine engineering. Say l was eligible? Please send a list of esteemed colleges in north india having marine engineering and how i can take admission. Sir,Which college intrance is best for marrine engineering? I have got 43 marks in JEE mains 2017 if i get admission in any governmental college for b.tech or not. please give me answer. Sir, im a b.com second year student. I am very much interested in making my career in marine or shipping . so how can i take a start from now to acchieve my goal ? Pls.reply. I am studying marine engineering right now, after completing this I want to Marine BSc curse. what are the best institude for me?